Small Business Marketing Tips - Does Everything Have To Be Perfect? 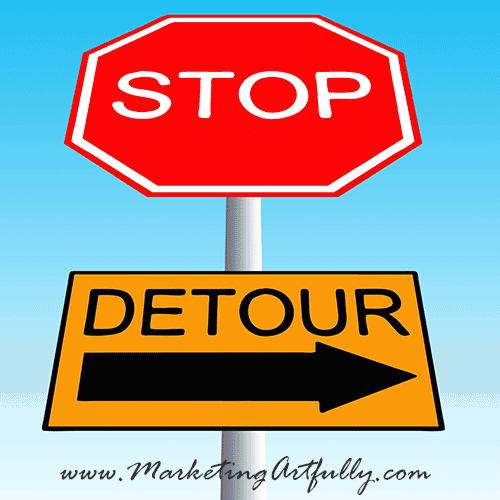 You are here: Home / Small Business Marketing / Small Business Marketing Tips – Does Everything Have To Be Perfect? Small Business Marketing Tips – Does Everything Have To Be Perfect? One of my top small business marketing tips is to give yourself a break! Does everything have to be perfect? Not just no but hell no! I am not concerned with being perfect because I am a hard driver, ready, shoot, aim kind of gal. I don’t spend hours agonizing that I sent out an email with a typo in it, I am just happy to have so many readers who are happy to email me back and tell me about it…:) I also don’t know everything about marketing, I know a lot but not everything and am happy to admit openly and honestly when I am uninformed. What do these things have to do with not trying to be perfect you ask? People who are ashamed when they make a mistake worry what people think more than I do. While I do think there is a happy middle of spell checking and grammer policing, if you are worrying that much that someone will unfriend, not hire or otherwise shun you because you made a mistake, you need to grow a little thicker skin! We ALL have those high school moments when we realize that a mistake was made and we still wait for the laughter (at us, not with us) to start. That said, now that you are a grown up, own up to your mistakes and move on fast. This is my “fail early and often” speech. As a small business owner, you probably have lots of ideas about things that could work for your business. New product lines, new marketing pieces, etc. So you decide to go ahead and want to make sure it is perfect. You agonize for weeks, months or even years to get it perfect before you launch it. Couple things could happen…you could miss the window of opportunity where your idea will flourish OR you could find that there is no marketplace for your idea. In either case you have spent A LOT of time developing something totally without knowing that there is a need for it. Instead, why not test it out on Adwords to see if people will click on your idea? What about doing it “good enough”, launching it and then finessing it as you go along – this is NOT the sell it and then make it, just a plea to not try to get it exactly right before you find out if anyone wants it! If you do it this way, you will find out early if there is a need for what you are selling and can submarine things that are going to be duds. You have not consumed your life with it BEFORE finding out if it viable. This is a big one and I have a great example from my business today! I did a video explaining our services to include in a quote request autoresponder. Half way through I thought, hmmmm there are some new things on YouTube I might want to incorporate, I should add annotations and call out boxes, maybe even an outside link…sigh. Instead, I did it “good enough” to include in our marketing and sent it on its way. It is not perfect, it does not have all the bells and whistles it could, but it is out there and has the chance to sell something! Had I waited until I reviewed the 5 videos in the course I am taking on this, then recorded the video, then did all the bits, I would be looking at about a two week timeline to get the training hours in, the new features implemented and the video uploaded…IF something else did not come along in the meantime, and something ALWAYS comes along in the meantime. Instead, it is out there ready to sell AND I can go back later, do it better and then change it out. In the meantime, I have something to test to see if it converts as is or if I should have more of a call to action or sales message. “Actually in the world” trumps “working on” every time! In our internet-y, high speed world, information is flowing at the speed of light. One tiny little message, like a perfect video or email, will just be blown away! In my world, I have done HUNDREDS of blog posts. Some are AMAZING and took a lot of time to write and some of them are just off the top of my head. I have to say the ones that came from the heart tend to rank better than the time-intensive, heavily researched ones. I also have LOTS of videos, blog posts, etc. That last one is super important. NO ONE watches commercials except during the superbowl so spending thousands of dollars to have one commercial made doesn’t make sense (that said, if you are in a high end industry make sure to get high quality videos done)! We are huge proponents of having a handful of professional videos you can use when necessary BUT also having LOTS of “off the cuff” videos available to help grow your views. Apply this to pictures on Pinterest, blog posts, anything that you create for public consumption!